Summers are upon us! Usually people tackle the summer heat by sitting poolside, under the shade of an umbrella and sipping on a cooler. There are other ways as well, but none so refreshing as sipping a cool and refreshing drink. Colorful summertime drinks are an all-time favorite with kids and adults alike. Although lemonade is a classic summer beverage, giving it a watermelon twist is pure genius. 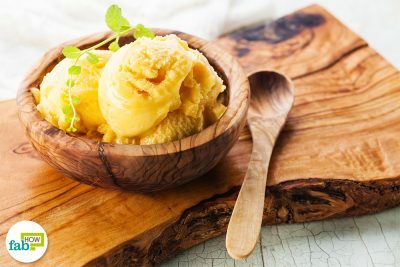 Lemon goes heavenly with the flavor of watermelon. The citrusy tang brightens up the sweetness of the watermelon and the resulting flavor is truly magical. Watermelon, in itself, can be made into a refreshing and hydrating drink – not to mention delicious. Drinks made from watermelon take summer drinks to a whole new level. Making watermelon lemonade for your next summer party should be a definite success. Watermelon is one of the most bountiful fruits of summer. A fruit of arid regions, it is a natural source of water. With approximately 92% water content, it is extremely hydrating and beneficial to the body against the effects of the heat wave. 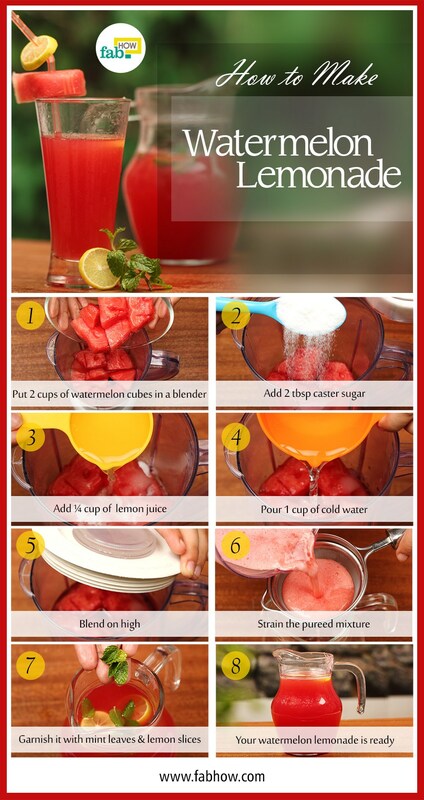 So, get ready to combat the heat this summer with some cool watermelon lemonade. 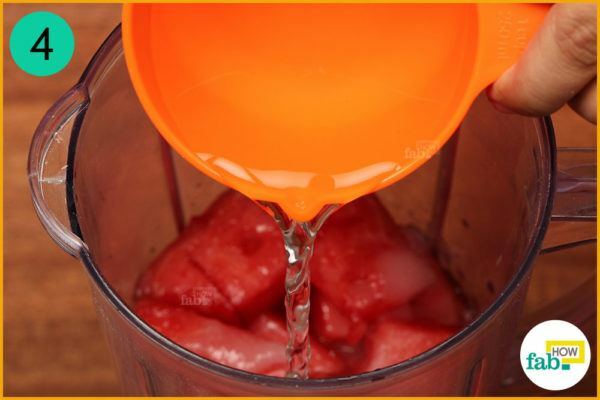 Put 2 cups of watermelon cubes in a blender. Be sure to select a ripe and tasty watermelon. 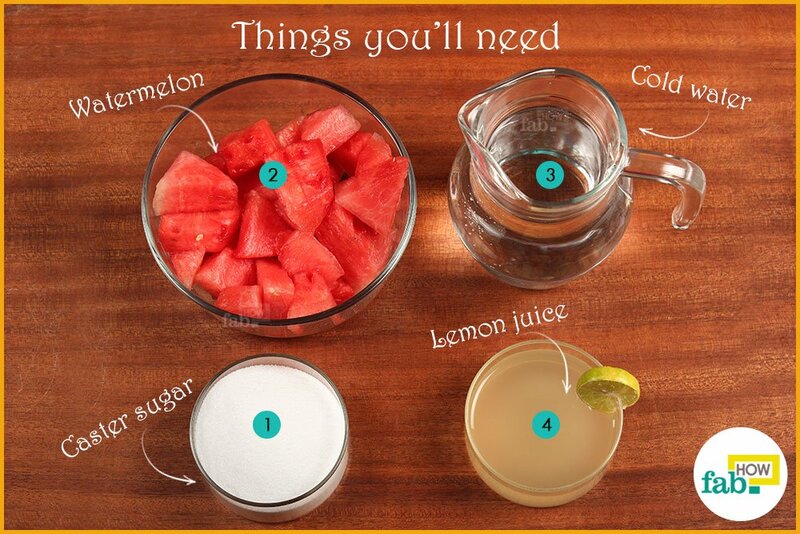 The taste of your lemonade depends on how flavorful your watermelon is. 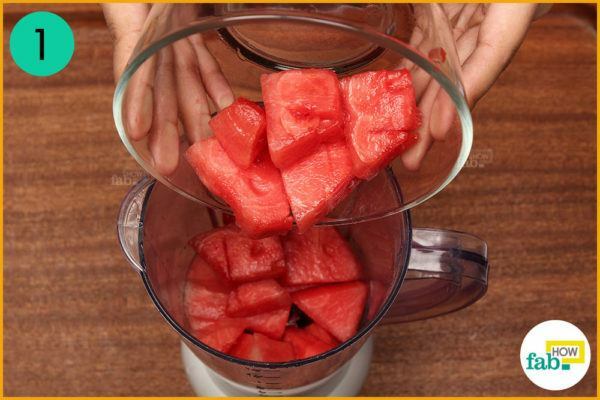 Be sure to deseed the watermelon before putting it in the blender. You may also buy a seedless variety. Add 2 tablespoons of caster sugar to the blender. You may use granulated sugar as well, but caster sugar dissolves faster. The quantity of sugar mentioned is an estimate. Adjust the sugar depending on how sweet your watermelon is. 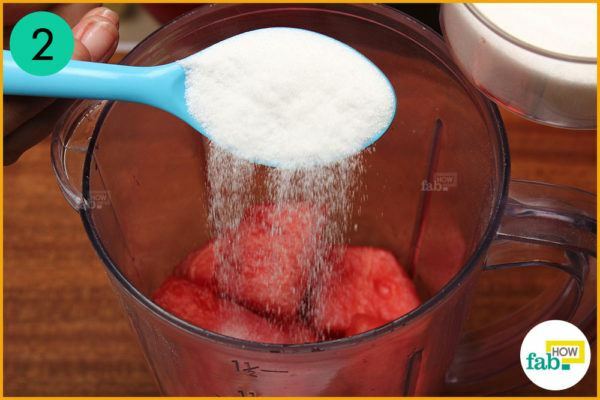 Sneak a taste from your watermelon and add sugar accordingly. Next, measure ¼ cup of lemon juice into the blender. 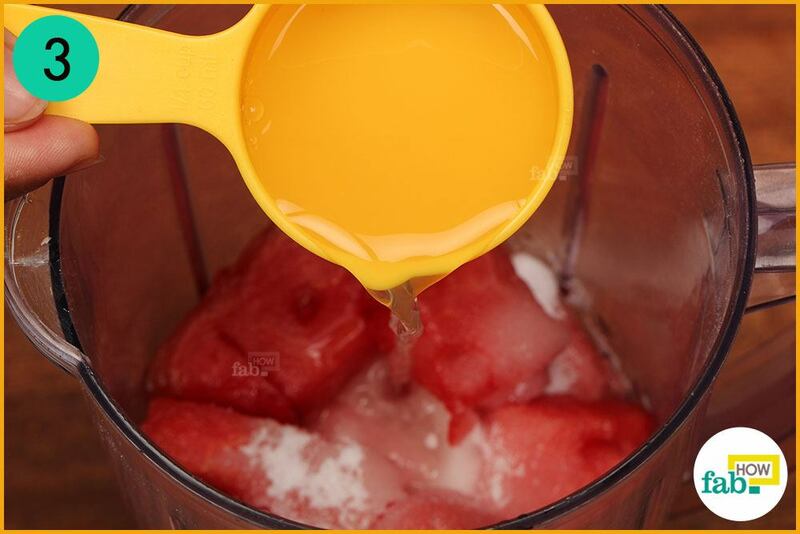 Lemon juice adds a tang that balances the sweetness as well as accentuates the flavor of watermelon really well. 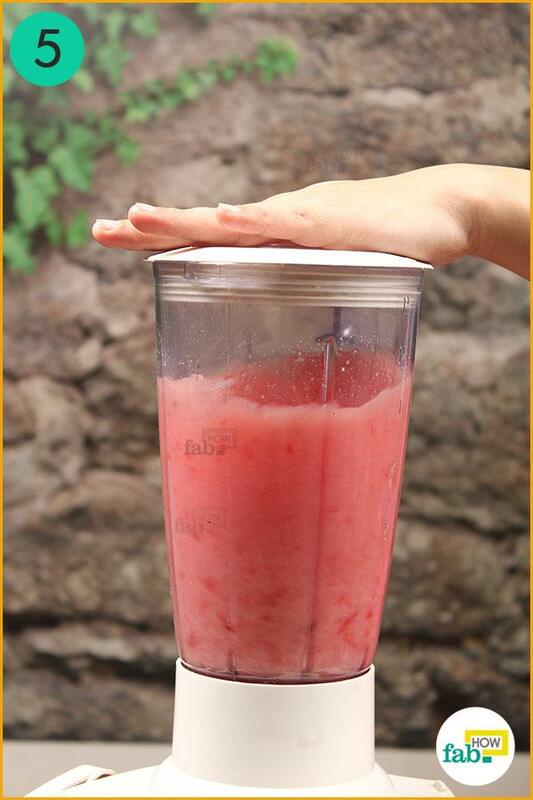 Pour 1 cup of cold water into the blender. If you intend to chill the drink in the refrigerator for a few hours, you may use normal temperature water. 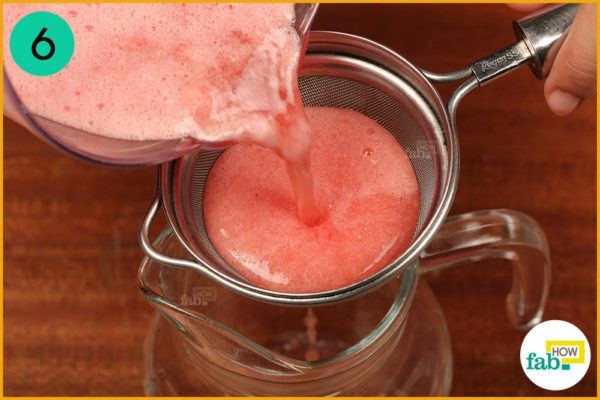 Cover the lid and blend on high until the ingredients are absolutely pureed. Arrange a strainer over a pitcher. Strain the pureed mixture and collect the liquid into the pitcher. 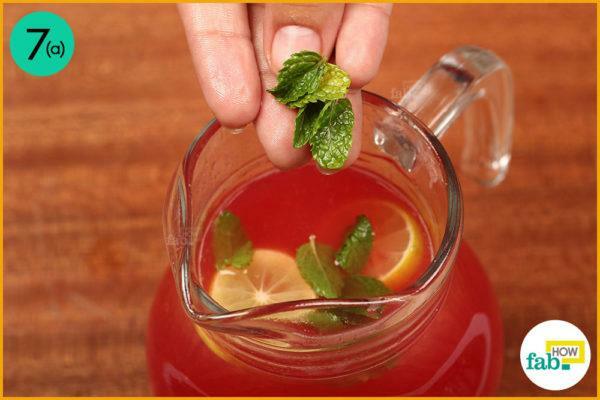 Serve it with a garnish of fresh mint leaves and lemon slices. Your watermelon lemonade is ready. Although best when consumed fresh, this lemonade easily keeps for 1 to 2 days when refrigerated. Substitute regular water with sparkling water to give your watermelon lemonade an edge. 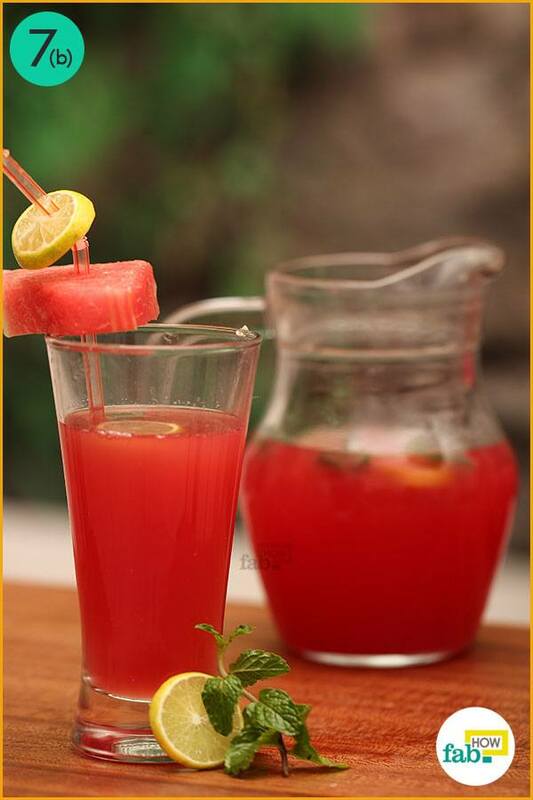 Citrus fruits like lime or orange and other different fruit juices can also be combined with watermelon juice for different flavors. Leftover watermelon lemonade can easily be made into lip-smacking Popsicles. Just pour the extra lemonade into popsicle molds and put them in the freezer overnight. If the drinks are intended for adults only, spike them with some vodka for vibrant cocktails. Serve the lemonade to kids in vibrant glasses with colorful straws.